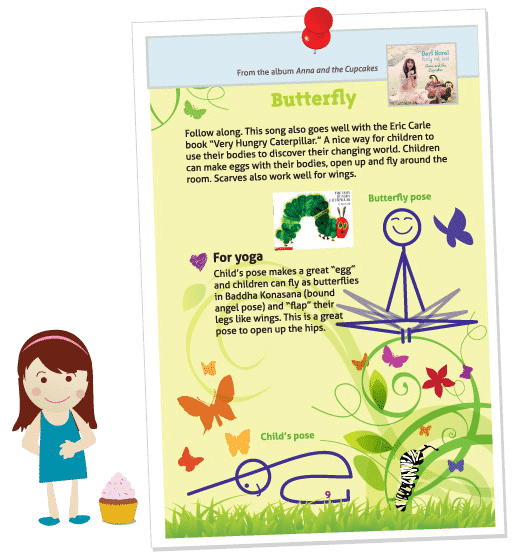 songs, activities and tips on how to teach yoga to children! immediately incorporate into your classroom. For a hard copy version, visit our store page. 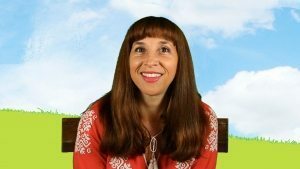 A fun song to show children how it feels to turn from a caterpillar into a butterfly. 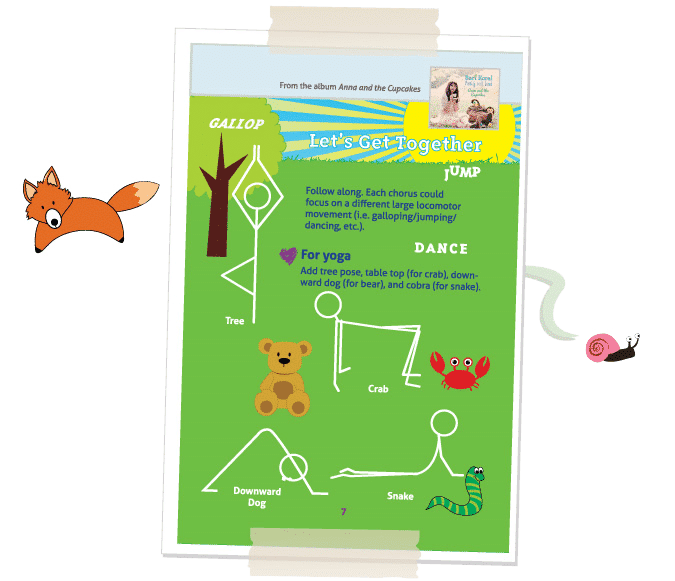 For a fuller lesson plan, read Eric Carle’s Very Hungry first and have the children practice their yoga poses. 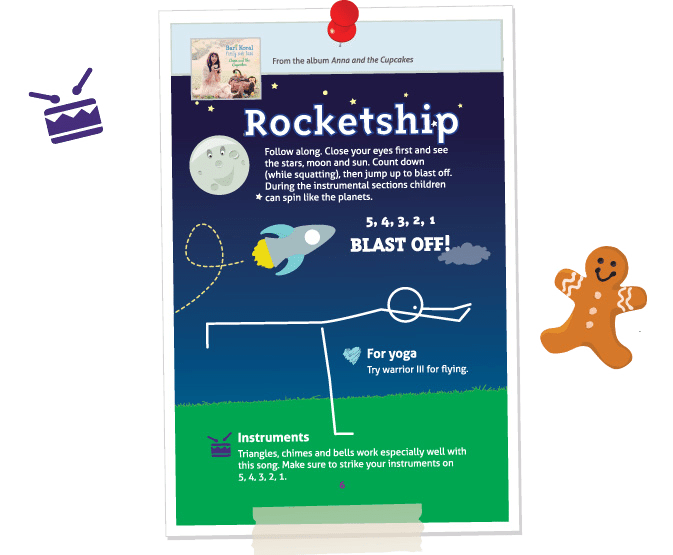 Then play the song and children can act out the whole life cycle of a caterpillar turning into a butterfly! 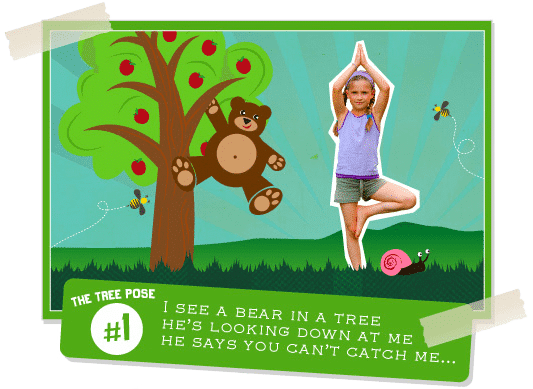 An upbeat song that teachers tree pose, crab pose (also know as table top), downward dog and snake pose. 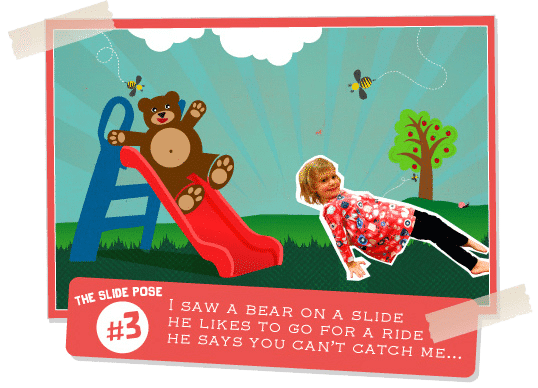 To further challenge the children, have them work on different jumps (tuck jumps, one leg jumps, jumping jacks), etc on each chorus. 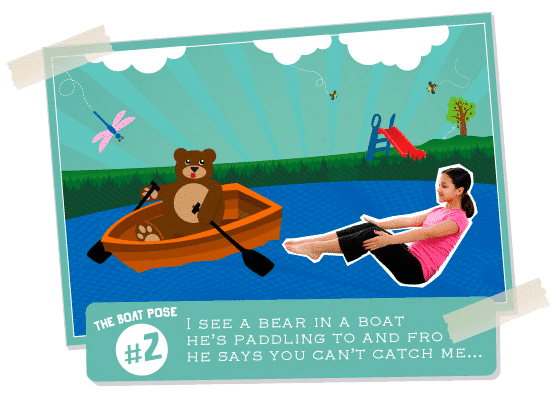 Advanced: Take a trip to outer space with airplane pose (warrior 3), and have children squat down when it’s time to blast off. Easier: have children walk or run around the room with their arms straight up like a rocket (as opposed to out to the side like an airplane). Come down to the floor when it’s time to “blast off”. 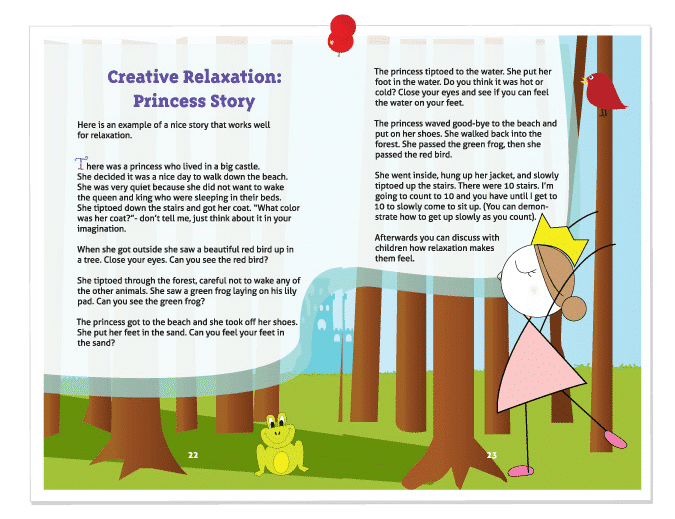 Here is a story with relaxing imagery that is very soothing to children. Relaxation is a time for children to lie down, be still, rest their bodies, imagine and listen. After relaxation, children are much more likely to be focused and calm. 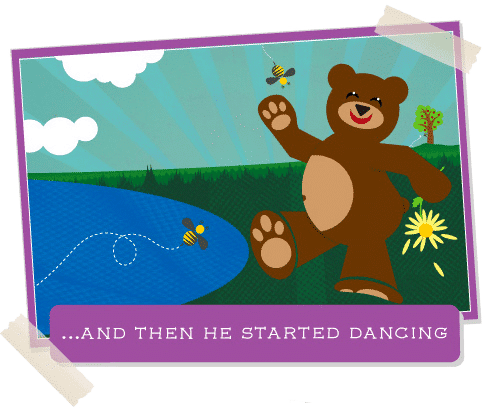 Here’s a story with relaxing imagery that is very soothing to children. For greater effect, play some relaxing music in the background as you slowly read this story, and dim the lights.